Check out some of our most popular teachers near Oceanside, CA including San Diego, Chula Vista, Carlsbad, La Jolla and Poway. Drums is my primary instrument, the one I chose to follow as a career in music. Drums make us dance, make us smile, and they are simply extremely fun to play. The most important thing I focus on is in playing music with the drums. There is nothing more rewarding and fun than playing with and for other people. Whether you are interested in learning how to play your favorite pop or rock song or a jazz standard, I can teach you what makes drumming unique in each style, and what you will need to know to express yourself in the instrument. way of playing, but also from their style of teaching. I have a curriculum which includes material learned from all my years as Berklee, as well as material I acquired in my own experience performing and recording with many acts and in many different genres, ranging from Rock and Metal, to Latin and Jazz, and even Musical Theater. I custom make my lessons to fit each of my student's needs and goals. If you want to study Metal drumming, I won't aim my lessons to teach the same material I teach to a student who wants to learn Latin music, or Jazz. Music is never ending, and different music affects each person differently. Also, every person has a different voice in their instrument. That's why what works for what some people doesn't do it for others. I focus on what is important to YOU, and what better suits your interests. I could provide the students with sticks and the materials to work on. I would expect the students to provide the necessary books when needed. 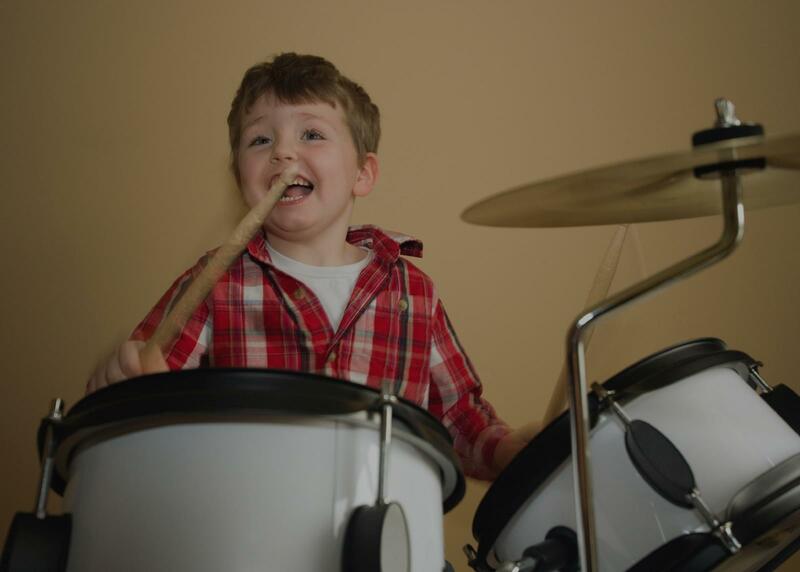 A drumset is not required for beginners, although it will be for more advanced students. My teaching method focuses on the interest of the student. I try to have my classes follow each student's own interest and goals, and guide them on the best possible ways to help them achieve those. I try to present short term goals for my students, to ensure that they can experience a feeling on success that will keep them motivated. I specialize in Rock and Pop music, as well as Latin music (Brazilian and Afro-Caribbean in particular). Francisco is a patient and thorough drum teacher. I took lessons with him for approximately a year and learned so much that I still apply today. I would still be taking lessons with him but moved away from Southern California. He tailors his lessons to your personal goals and gives you actionable steps for the week ahead but also exposes you to larger concepts to show you what's possible. I regularly left lessons with him with my mind blown feeling very excited for the new possibilities in drumming that were being opened to me. After taking lessons with Francisco I feel like I have a toolbox of skills and knowledge that I will use my whole drumming life. He is extremely passionate about his craft and takes your personal goals seriously. I'd recommend him to any drummer of any style. Francisco is such a great teacher. He tailors his lessons to your needs and challenges you just enough. I took lessons with him for about 8 months, which ended when he moved to the west coast. Otherwise I would still be with him. But he taught me so much and still checks in to make sure I'm sticking with it months after our sessions have ended. He genuinely cares about his students and their love of music and he enjoys teaching and motivating others to play. I highly recommend Francisco as a teacher as he will get you where you want to be. I took up drums 2 years ago in my early 40's. Francisco was my first drum teacher, and he patiently introduced me to the instrument, exposed me to many different musical concepts and traditions, and really increased my interest in music and drumming. He is an amazing player, and I learned much from watching him play in lessons and also live. Unfortunately he moved from Boston to CA, which was my loss.I reccommend him without reservation. If it's difficult for you then it was probably difficult for me too. All levels are welcome; let's get you started, up to speed or over the hump. It's time to get to it! A drum instructor since 1988, I'm a graduate of Musicians Institutes Percussion Institute of Technology (P.I.T.) and hold a Bachelor of Arts from California Polytechnic State University San Luis Obispo. I teach beginning to advanced drums to students of all ages. Before relocating in San Diego, I was a full-time instructor for The Drum Circuit Drum School in San Luis Obispo where I was teaching 200 lessons a month. Originally, I'm a native of the Los Angeles area where I taught for the Van Nuys and Alamany High School music programs. vided me with the foundation for a teaching career that is now into its 25th year. Outside the practice rooms, I'm an on-call, independent performer / contractor and clinician. Some of my credits include performances/recordings with Jon Anderson of Yes, Award winning songwriter Maia Sharp, (Bonnie Raitt, The Dixie Chicks), nationally recognized blues band Pryor Baird and the Deacons, and many other noteworthy talents. I've also performed for various stage productions in the Los Angeles area, such as Little Shop of Horrors, How to Succeed in Business, and Once Upon A Mattress. Currently, Matt can be found performing with what many call "the ultimate Santa cover band" Santana Ways as well as a number of other musical projects. Don't worry. First things first, you're going to make mistakes so don't be afraid to. If you don't make any mistakes during a lesson, you can go ahead and teach me. I'm really laid back with my approach to lessons: we'll talk, we'll play, I'll explain a few things and boom - you're playing' drums better than ever. If experience has taught me anything, it's that a student can not be forced to practice. However, even the younger students understand the idea of "you get out of it, what you put into it". I pride myself in being able to make lessons enjoyable and thereby the student is going to want to learn more and in turn, practice more. I will give you all you can handle - when you're ready. Playing to music is essential - it's what we're going to strive to do right? Students should try to have an MP3 player of some sort: Ipod, ipad, smart phone etc.. I'll bring one just in case so we can plug in, listen to your jams and play. Students should have their own drums. Minimum of a practice pad and Drum Sticks. (Available if needed). Music paper and a folder or binder. Drummers need to be versatile and more often than not, versatility is limited by two factors: physical independence and music interpretation. Out of the gate, I focus on these two hugely important aspects of modern drumming so that the student may better pursue their desired style with as much freedom and knowledge as possible. We could not be happier with Matthew! He has the perfect deameanor and teaching technique for our 7 year old. Our son has learned an unbelievable amount in the last two months, but more importantly, he thinks playing is fun. We are so happy to have found Matthew! Matthew has been great for my son, Michael! He has learned a lot in a short period of time! Very knowledgeable and patient. My son has learned a lot in a short amount of time. for hobbyist or pro drummers. Many practical skills will be discussed and include playing in a Rhythm section for Blues, Country, Jazz, rock, music etc.. He has a wide range of drumming and percussion experience in Rock, Blues , Jazz, R&B, Soul, and World Music. He has been teaching for 15 years. Based on personal interaction with students. Gary is a brilliant drummer and a fantastic instructor, always patient and thoughtful. This is because he is just a genuinely gentle and thoughtful person. You won't be disappointed. Gary Reed Johnson has been an accomplished professional drummer for over45 years. He is an expert not only on technique but also has a deep knowledge of many styles of beats, rhythms and musical genres. And, he's a really cool person. If you're a beginner or already playing Gary can help you get to the level to which you aspire. I'm a singer that wanted some help with identifying different time feels and rhythms. Gary was able to teach me with an easy to understand and down to earth approach. He made it fun too. He's got a lot of experience and still plays out on a regular basis. Learn from one of the best rock drummers. Fundamentals and basic essentials are a major key in achieving success in anything in life. Through a relaxed and inspiring approach you can learn the fun asset of the drumming world. Theory and rudiments are included in order to learn the language. There is nothing better than to witness the eyes light up when a student is inspired. Climb aboard! Lessons can start without drums. Students need a drumkit in the near future. This can be an electronic, acoustic, or practice pad set, and a notebook. I buy and sell used drumkits so a great deal is provided. I can provide study materials. I have three decades of experience in teaching aspiring students of all ages. Learning how to "use" a drumkit is a wonderful method of allowing a student to obtain the ability to enjoy playing. Inquire to achieve this! I stress the use of fundamentals and rudiments. While doing this I include theory and explain its purpose. James is a reliable instructor. He always meets at the scheduled time, and instructs with patience and persistence. Our son has been a student for 8 or 9 years now, and likes Jame's style of teaching. Our son has learned many techniques for playing drums, starting with simple beats. James is well liked and respected. For 11 years James instructed our oldest son on the drums. When the boys started showing an interest in piano, we bought a keyboard for them, and James started teaching them the basics of piano. Currently James instructs our youngest son on drums and keyboards - rotating each week. When our son wants to go over something he's been learning at school in his Advanced Keyboarding class, James has been a great help in this area! My son has been taking drum lessons from James for a few years now and has grown so much in his love of music and his ability to play. He looks forward to his lesson every week. We are grateful to James for cultivating his passion. Learn how to play the drum set. I've played/taught drums for 40+ years! If you have experience I will listen to you play during your first lesson and create a custom practice routine to help sharpen your skills. If you are a total beginner I'll cover all the basics in a few lessons and get you playing songs quickly. I specialize in rock but teach most styles. I use "Stick Control for the Snare Drummer" and other books as needed, and we will use my electronic drum kit. Your lessons will be fun, challenging, and inspiring! I have been playing drums and mountain dulcimer since the late sixties. My musical background is in rock but I am comfortable playing and teaching most styles of popular music. I've done a fair amount of recording and have performed in every kind of venue, from private parties to concert situations where the band I was in opened for national touring acts. I'm an encouraging teacher, and I especially like working with beginners (of any age - you are never too old to learn to play an instrument). If you have played before, I can listen to you play and suggest a custom practice routine to address and strengthen any weaknesses. Learning should be fun, so I encourage my students to begin playing songs they like as soon as possible in addition to building their skills. Click the green button to request a lesson! Awesome first lesson! Andy is a great fit for me and I am looking forward to my next sesh! Andy is very knowledgeable and passionate about what he does. He starts with the fundamentals and doesn’t move too quickly. Looking forward to more classes with him! Andy did a great job of listening to what I was looking for, giving suggestions and making a plan. I’m excited to be learning from him. Can't find a teacher in Oceanside, CA? vor instills his love of music into every lesson...and to every student. He custom-tailors each lesson to the student's style, needs and goals. Lessons are always fun, positive and productive. He is responsible, always on time and communicates well. Trevor has been a great find. He is an amazing teacher." San Diego, CA teacher: Trevor H.
ated based on my progress on lessons. He is a talented musician and definitely knows a lot about how to teach beginners (like myself). Music seems to come naturally to him and he is personable, helpful, and encouraging. Not only are the in-person lessons progressive at a good rate, he utilizes email to send other helpful videos, links, and sound recordings that help students correct and further work on their techniques. I highly recommend for anyone who wants to pick up the drums or improve their current skills!" so! I've known Andy for 15 yrs as a fellow musician, he knows his stuff and knows how to impart it to others. Whether you are professional working drummer, or someone just starting out, Andy is a perfect pick for your instructor!" "I'm a singer that wanted some help with identifying different time feels and rhythms. He's got a lot of experience and still plays out on a regular basis." "I've known Andy for many years, and have enjoyed playing music with him. is considering taking drum lessons." San Diego, CA teacher: John M.
n't "get it" when teaching a young, active boy. We are very pleased with Matt's approach, and after only 3 lessons and some practice, I am already able to jam with my son on some simple rock n roll tunes."